Friday night fun! 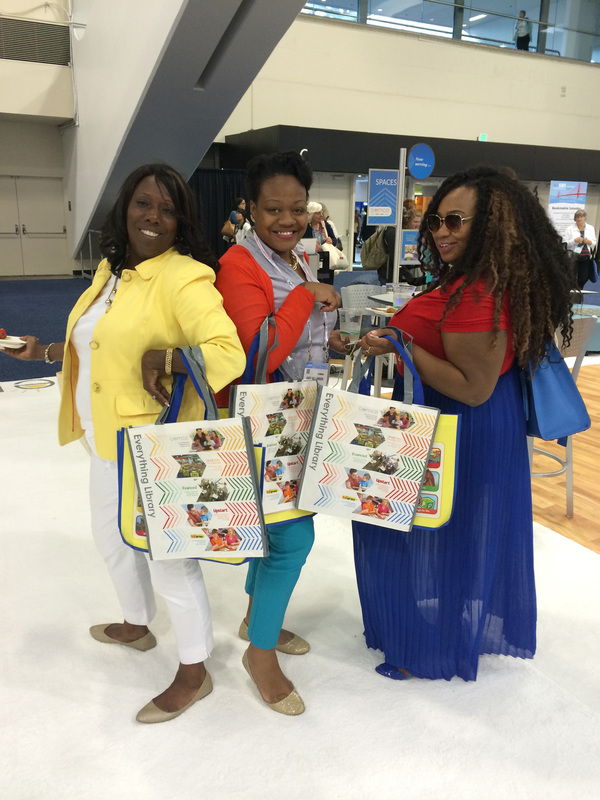 These ladies are among the first to pick up their Demco tote bags. Very stylish! 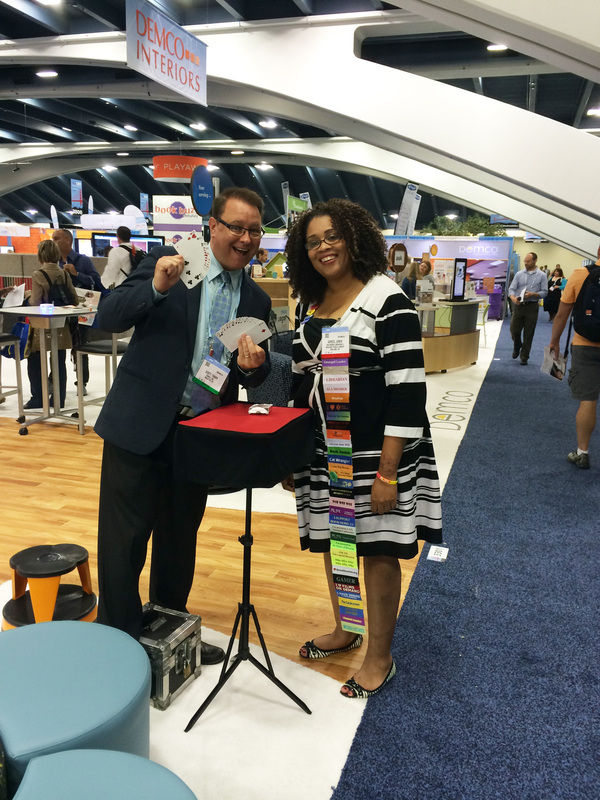 Scott Tokar, Demco's resident magician, entertaining ALA attendees. Oooo. 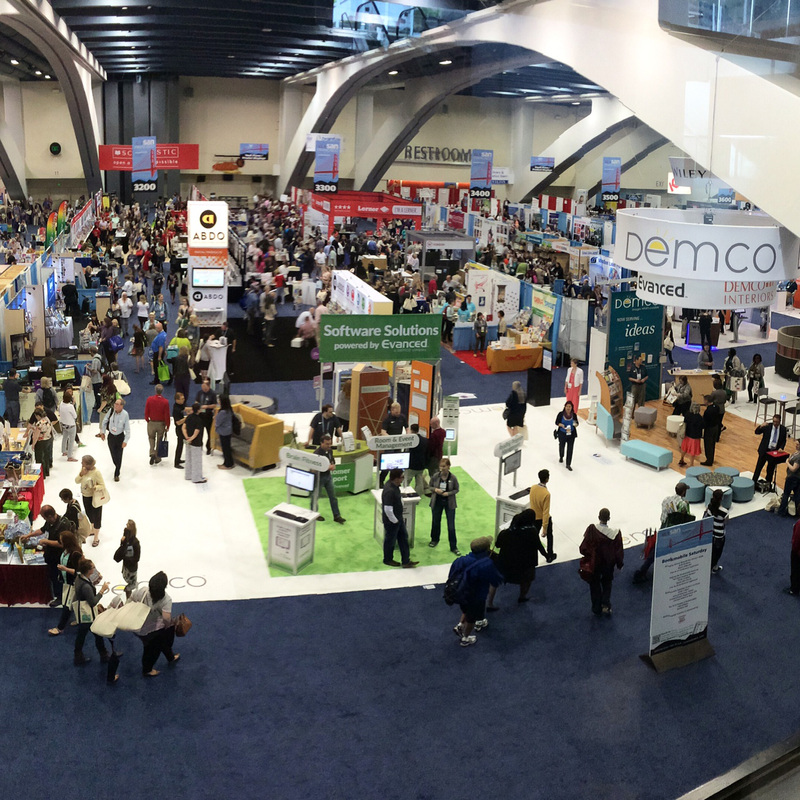 An eagle-eye view of the Demco booth on Friday, June 26. Hey everyone! 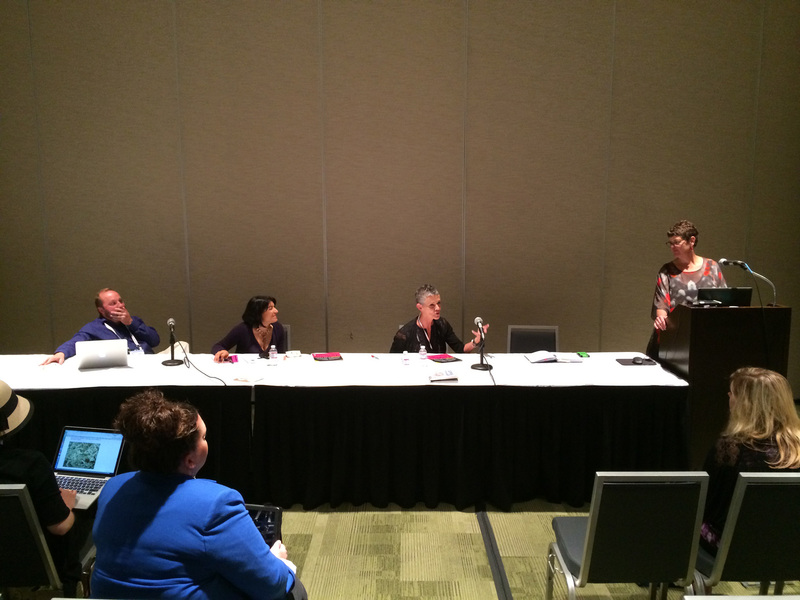 Julie Brand Acteson, Director of Community Relations & Marketing at King County Library System, answers an audience question at the Adult Programming Panel Discussion sponsored by Demco. 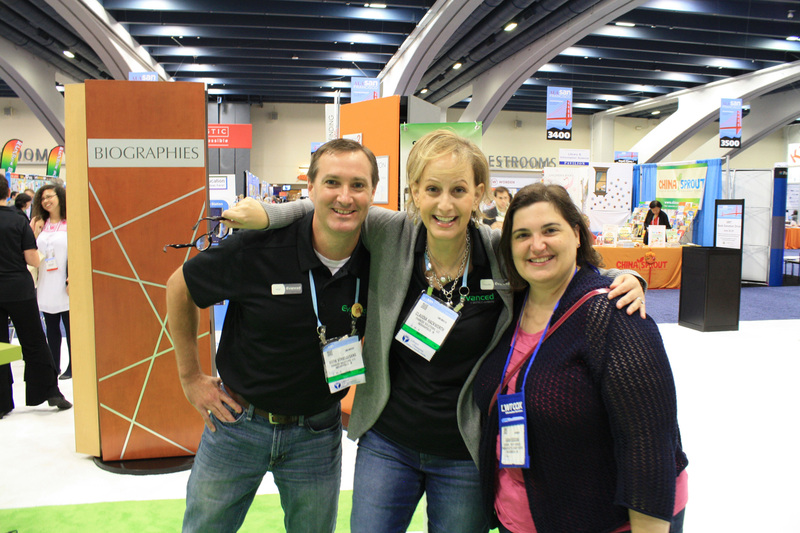 Evanced's Claudia H. and Mark V. pose with a favorite long-time customer who loves Demco's library software solutions! 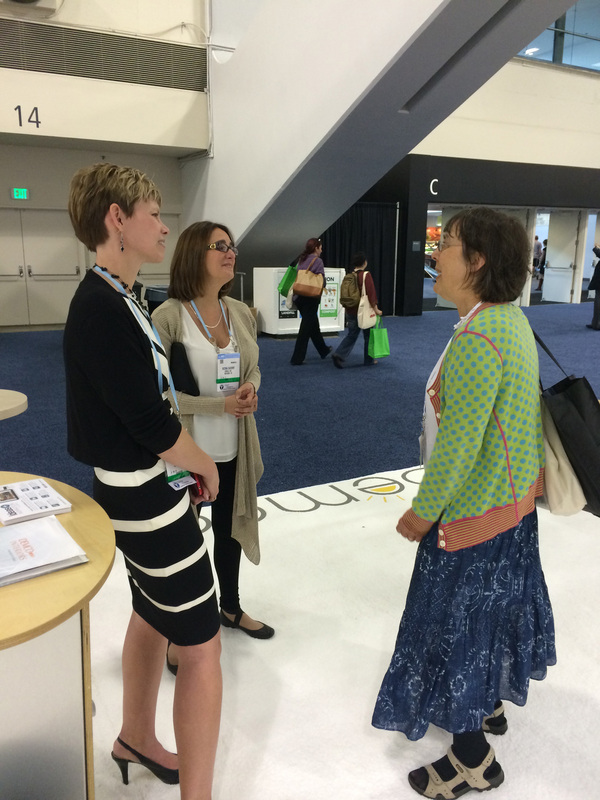 Demco's Janet N. and Nedra S. talk to an attendee. Serving your library is knowing your library. 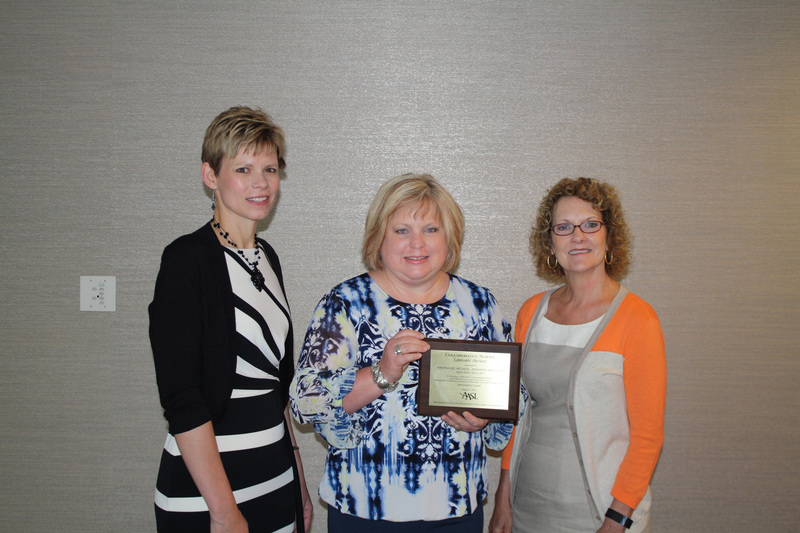 Janet N. (left) and Nedra S. (right) present Tamara Faulkner (center) with the Paralibrarian of the Year award. 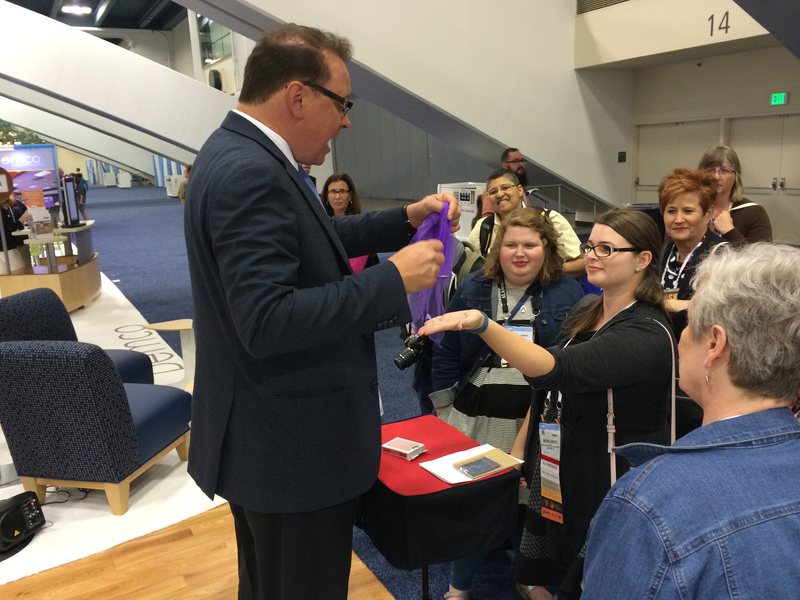 And the award for the most ribbons on a namebadge goes to …this festive attendee. 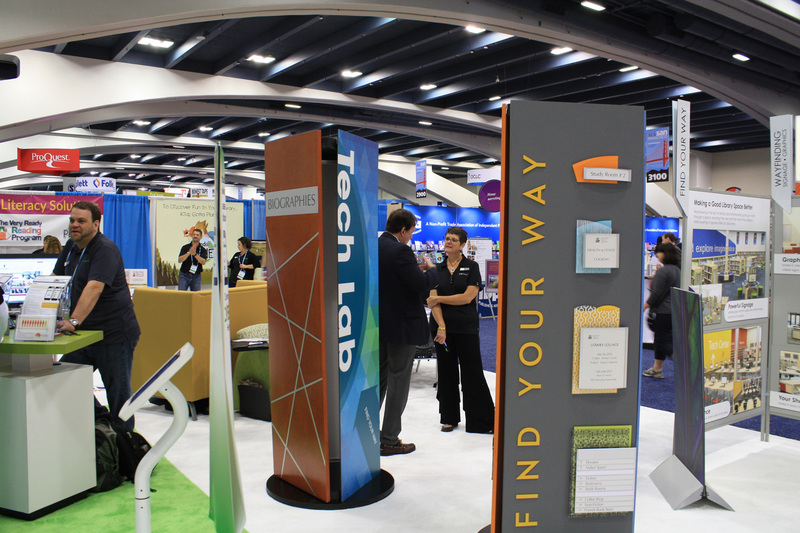 Angie S. talks about how Demco can help libraries with their wayfinding and wayshowing. 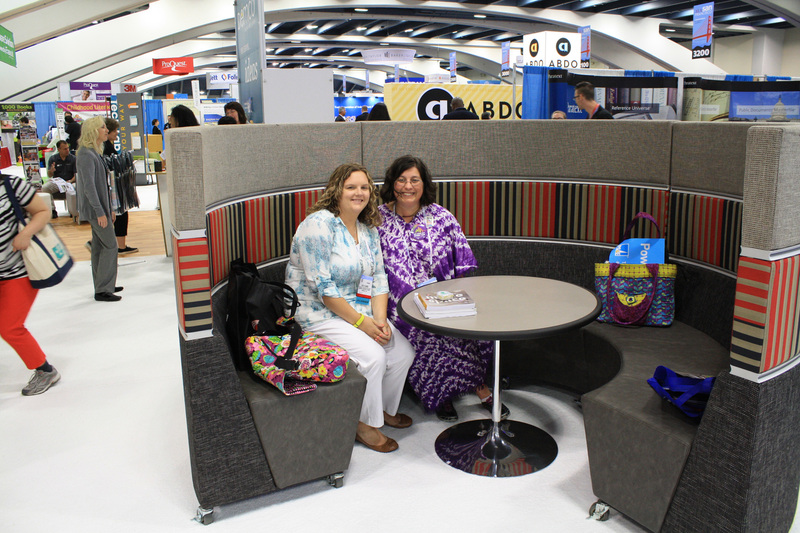 A couple of attendees unwind and try out the PalmerHamilton Hive, available through DEMCO Interiors! Spotted! 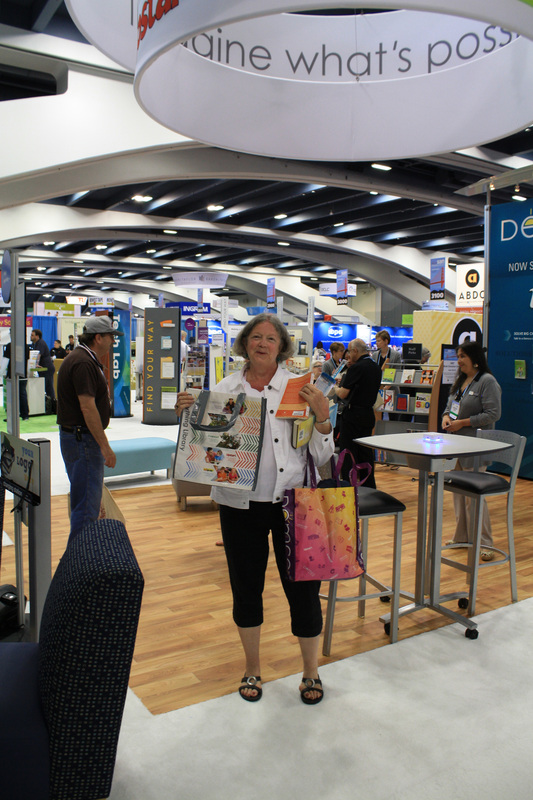 A fan of Demco's durable tote bags, this attendee models the 2014 ALA tote and this year's design. 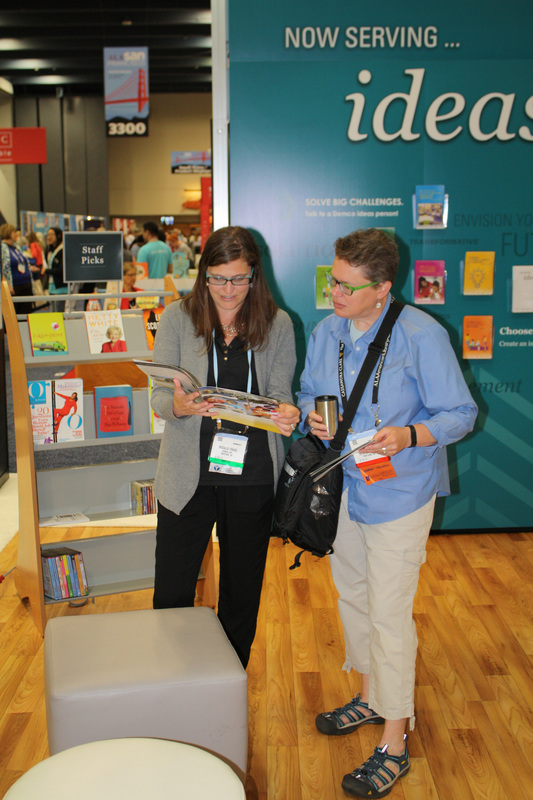 Rosalie F. helps a customer browse new teen spaces options. 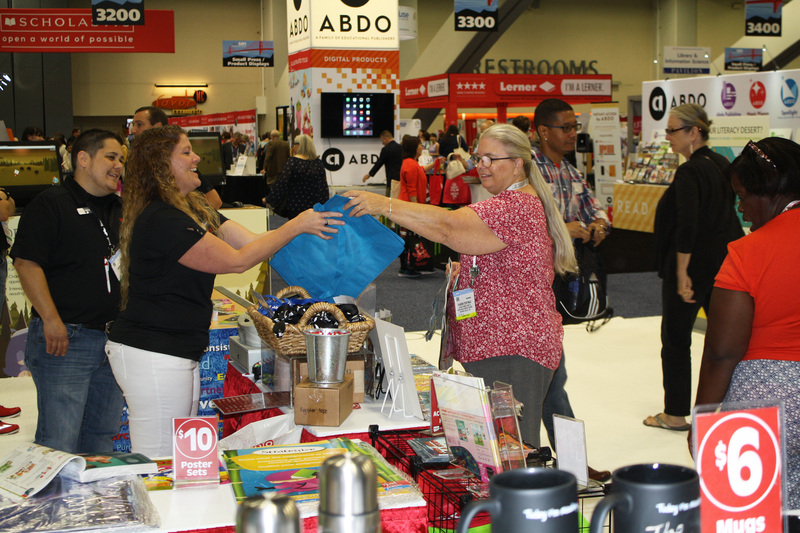 Fun bookmarks, mugs, t-shirts and bags were available at Upstart's booth. Angie H. helps a customer with her purchase. 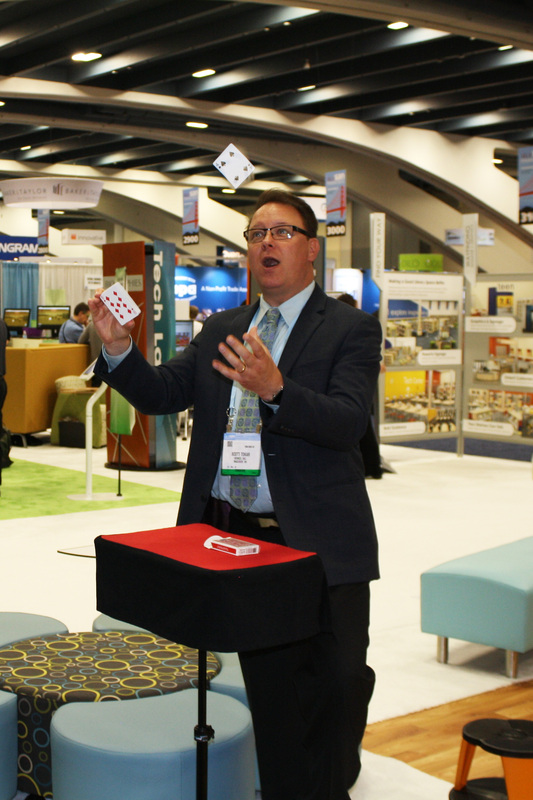 Demco's magician in action! Pick a card, any card! Is this your card? 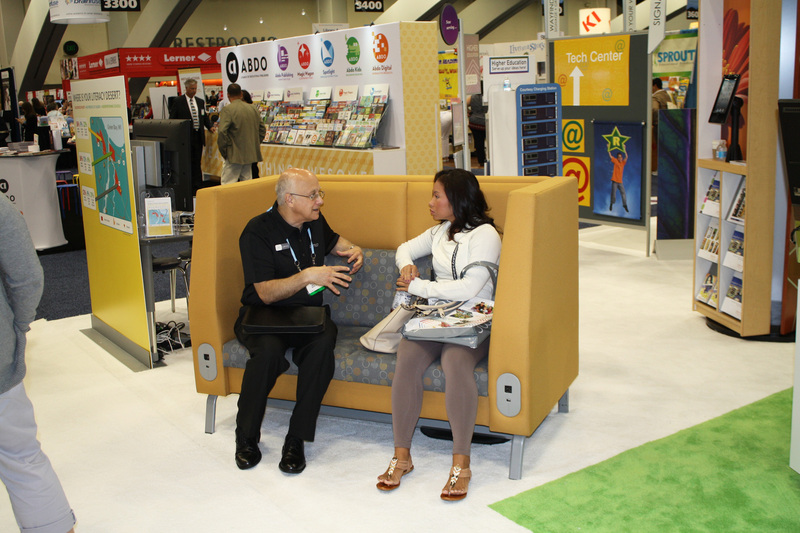 Rich S. and an attendee test out the Bretford® Motiv™ Mid-back Sofa while they talk about library supplies, equipment and furniture now available internationally. Just can't get enough of Demco's magician! Large crowds gather round to be wowed. 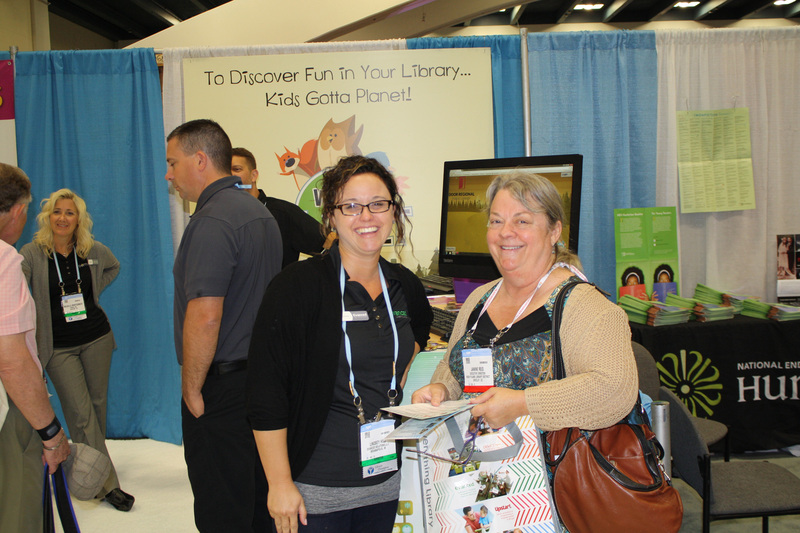 Lindsey H. introduces an attendee to Wandoo Planet, a new software for libraries that zeroes in on kids' keenest interests! 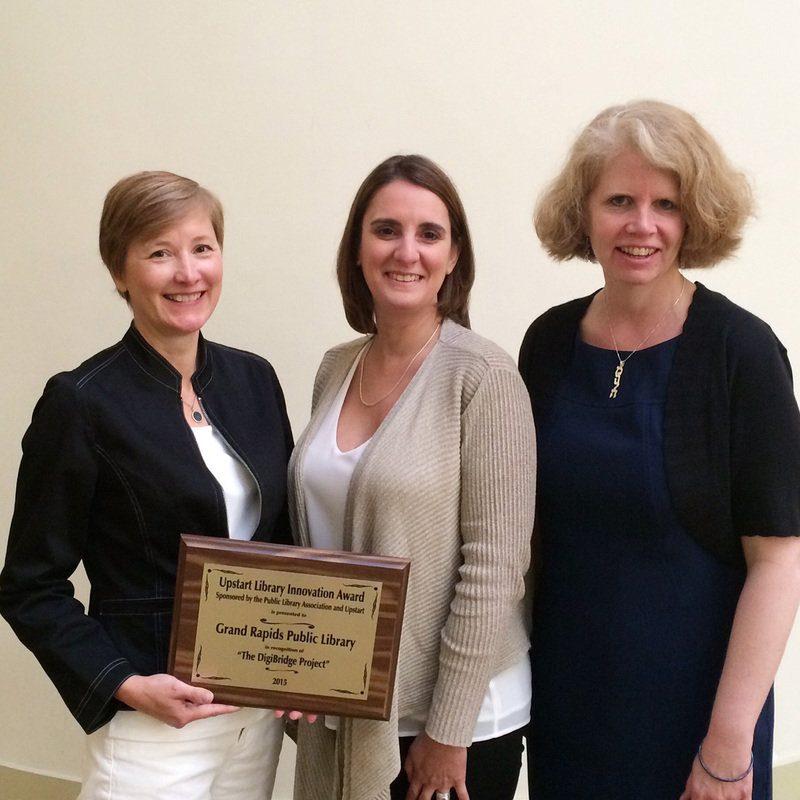 The honors go to Grand Rapids Public Library in Michigan, winner of the PLA Upstart Innovation Award. This award recognizes a public library's innovation and creative service programming for the community. 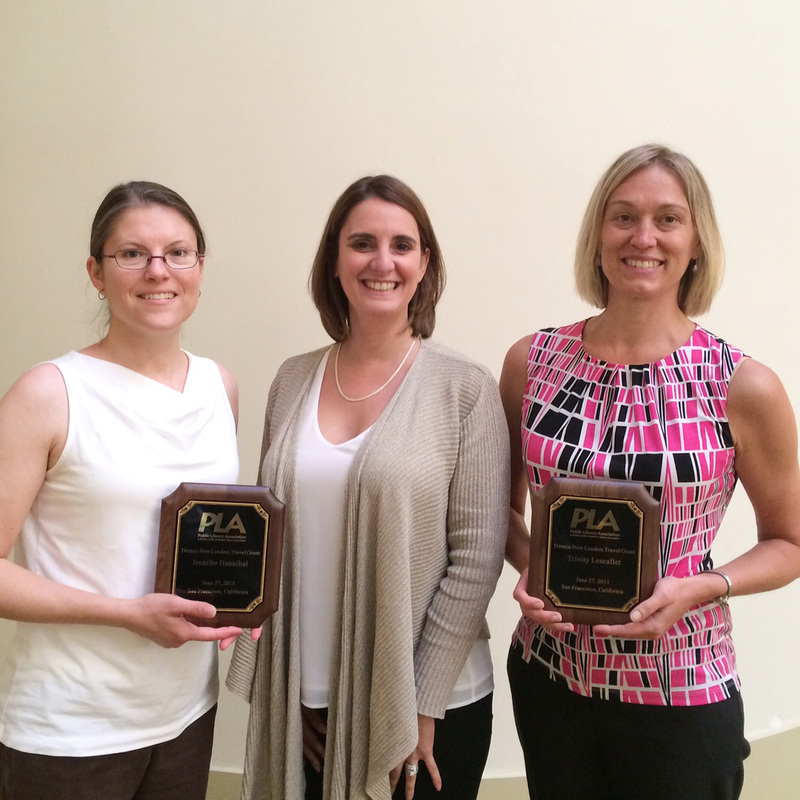 Kudos to the Demco New Leaders Travel Grant winners Jennifer Hannibal & Trinity Lescallett. Not pictured: Eric Soriano & Sara White. 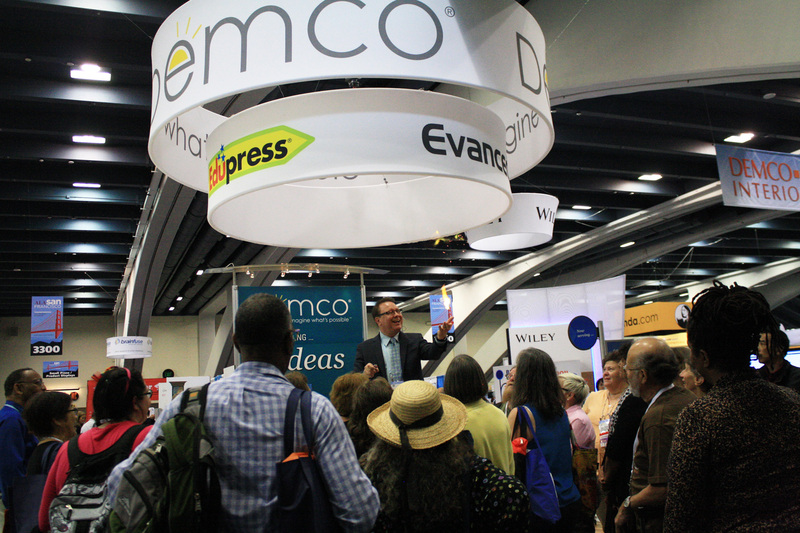 It's one of the ways Demco gives back, helping advance libraries everywhere.